Now the zipper neck lanyards are also becoming very popular. The pattern and color of the custom zipper lanyards can be customized and very convenient to carry. The custom zipper lanyards can be very practical and convenient in you travel or take some outdoor activities. 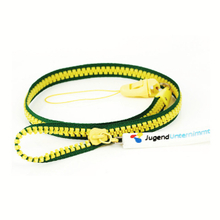 As long as you pull gently, the zipper style lanyard can ensure the safety of your stuff. The custom zipper lanyards apply to any gadget, mobile phone, digital camera can be hung and avoid dangerous broken. We can decide our production of the zipper lanyard stitch according to your needs, if you're interested, you are welcome to contact us. 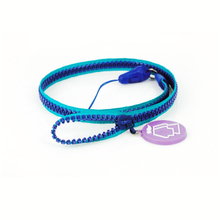 At the same time, we have the zipper lanyard bracelet for you to choose from.